Links of machine-knitted wool tube with Dacron filling: colours of the spectrum. 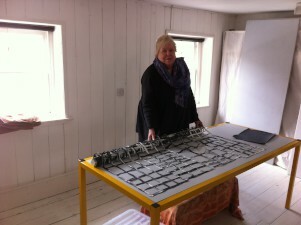 Ends grafted to make invisible join. Made on old stocking machine, hand operated. A prototype designed foe semi-skilled assistance. 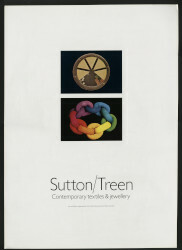 Ring Chain Spectrum, Ann Sutton, 1974, Crafts Council Collection: T7. Photo: Relic Imaging Ltd.